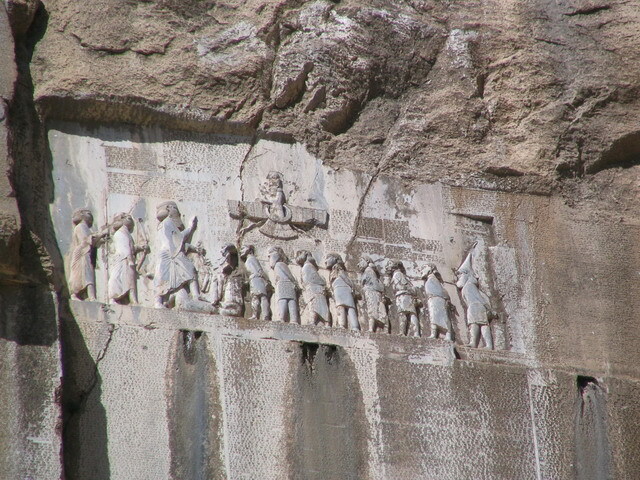 English: Darius I the Great's inscription. Possibly an influence in the en:stele series for the Ptolemies, III, IV, and V-(V for the Rosetta Stone); Ptolemy II also had a Victory Stele, though not bilingual. Italiano: Iscrizione di Dario I il grande. Ena dosya binê Creative Commons Attribution-Share Alike 3.0 Unported lisans biya. Subject to disclaimers.